KHOI radio (89.1FM) concert in studio and a live radio show. From 7 to 8PM. 410 Douglas Ave., Ames. Free concert. Central Iowa Barn Dance, at the Annex, Ames from 7:30 to 10:30PM. Iowa State Fair concert, at Pioneer Hall, from 5 to 6:30PM. AMES OCTOBERFEST at the Ames Bandshell on Saturday, September 15th from 1 to 3pm. Iowa State Fair dance at Pioneer Hall from 7 to 9pm. on Thursday, August 16. Grinnell Contra Dance with Sue Hulsether calling. Central Iowa Barndance 7:30 - 10:30 PM at the CUMC Annex 130 S Sheldon Ave, Ames Caller TBA. Part of Mucky Duck Pub birthday celebration. Saturday, September 16, 3-5 pm. 3100 S Duff Avenue, Ames. Roosevelt Summer Sundays Concert 7PM August 6. Roosevelt Park, 9th Street & Roosevelt Ave. Ames. Free concert. Bring lawn chairs and friends. The Barn Owl Band will record our second LIVE concert on Sunday, May 7th from 2 to 4PM at the Ames Public Library. Central Iowa Barn Dance, with caller Reid Miller. Central Iowa Barn Dance, caller Lonna Nachtigal. Central Iowa Barn Dance, caller Roger Alexander. Living History Farms Family Christmas, in the Church of the Land (2 PM to 6 PM). All are welcome! Music and dancing for all ages. Saturday, November 6 Barn Dance from 3 to 6 at Prairie Moon Winery, Ames. This will be indoors. Central Iowa Barn Dance, with special guest caller Reid Miller. Central Iowa Barn Dance; caller Roger Alexander. Central Iowa Barn Dance with special guest caller Reid Miller. Living History Farms Family Christmas 3-7PM. Central Iowa Barn Dance with caller Roger Alexander. The Barn Owl Band opens for nationally acclaimed acoustic band Gipsy Moon Wednesday, September 23, at Bluestem Stage (Zeke's theatre), 3329 Lincoln Way, Ames. Show at 8:00pm. Doors open at 7:30pm. Bookends at the Bandshell concert sponsored by the Ames Public Library, 11:30 am to 1:30 pm at Bandshell Park in Ames. No admission charge - just enjoy the music and warm weather. A nice lunch break. Flynn Barn Dance at Living History Farms with caller Lonna Nachtigal. Urbandale, IA 50322 phone Monday-Friday, 8:30am-4:30pm at 515-278-5286. Barn Dance at the Living History Farms Christmas event at the Church of the Land, 4:30-7:30 PM. Bookends at the Bandshell concert. Bandshell Park, 5th & Duff, Ames, 11:30 AM to 1:30 PM. Fort Frenzy grand opening, 2:00 PM. 3232 1st Avenue South, Fort Dodge, Iowa. More info at 515-576-2226. (Contra-Indications) dance at the Odd Fellows Hall, 29th and Kingman, Des Moines, with caller Lonna Nachtigal. Open to the public. 7:30 PM instructions for beginners, 8:00 PM dance. Celebrity Café at CY Stephens Auditorium (Ames), before the Bela Fleck, Abigail Washburn and Del McCoury concert. We play 6:45 to 7:30 while concertgoers sip wine and eat chocolates before the concert! Central Iowa Barn Dance. Part of Five Dances in Five Nights. Contra-indicatiions Dance, Des Moines, Odd Fellows Hall, 29th & Kingman. Part of Five Dances in Five Nights. Private Event, Ames, Iowa (morning). Contradance in Des Moines: Dancing at the Lake with caller Lonna Nachtigal, at Grey's Lake Park, 7:30 to 10:00 PM. Launch party for Market to Market Relay/Iowa, Jefferson, Iowa (details here) We'll be playing on the grounds of the Courthouse. Beautiful location. CONTRA-indications dance with caller Ric Goldman from the San Francisco Bay Area. Dance instruction at 7:30, dancing at 8 PM, Odd Fellows Hall, SW corner of 29th & Kingman Blvd, Des Moines. Central Iowa Barn Dance with caller Lonna Nachtigal! Contra-indications dance, Des Moines, with caller Reid Miller from Madison, Wisconsin. Story County Democrats' Fall Barbecue. Moore Park. Ames. 3:00 p.m.
Roosevelt Summer Sundays free open-air concert at Roosevelt Elementary School, 1000 9th Street, Ames. 7:00-8:30pm. Bring lawn chairs. Central Iowa Barn Dance with Roger Alexander calling. APL Unplugged, 2pm, Farwell T. Brown Auditorium. This free concert will be recorded for the Barn Owl Band's fourth CD. Come be a part of it! Sponsored by the Ames Public Library Friends Foundation. Contra-Indications inaugural dance with caller Lonna Nachtigal, Des Moines Odd Fellows Hall, SW corner 29th and Kingman 8-11 PM. Stomping Grounds Cafe, 303 Welch Ave, Ames, 7:00-9:00pm. No cover. Our amazing Central Iowa Barn Dance 20th Season opener. With caller Lonna Nachtigal. Central Iowa Barn Dance, Ames, with Roger Alexander calling. Central Iowa Barn Dance, Ames, with caller Lonna Nachtigal. Barn Dance, 6:30 to 9 PM at the Flynn Barn, Living History Farms in Clive, sponsored by Soli Deo Musica (Faith Lutheran Church, Clive). Open to the public (free admission) More Information; More Info at SeeDesMoines.com. APL Unplugged concert at the Ames Public Library, 2:00 pm. Sunday August 22, 2010: Snus Hill Winery, Madrid, IA. 2 to 5 PM. Visit the website or call 515.795.3535 for more information. Franklin County Fairgrounds, Hampton: Iowa Winniehawks State Rally. 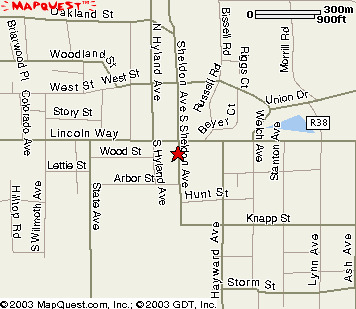 The Barn Owl's 2010 summer concert at the Roosevelt School grounds in Ames will be Sunday, June 6th starting at 7:00pm. There is no admission charge for this concert. Story County Democrats' annual Soup Supper, Collegiate United Methodist Church, 2622 Lincoln Way, starting at 5:00 PM. Central Iowa Barn Dance with caller TBA. Concert at the former Roosevelt Elementary School yard on Sunday, July 26 from 7:00 until 9:00pm. Free concert and bring lawn chairs. Concert and square dance at the Plainsman Museum, Aurora, Nebraska, starting at 4:00 PM. Sponsored by the Hamilton Community Foundation. IRISH JAM Celtic Festival, Scotch Ridge (near Carlisle, SE of Des Moines) Barn Owls are performing at 10:00-10:30 AM, 11:00-11:30 AM, 2:00 to 3:00 PM, and 4:00-5:00 PM (TENTATIVE SCHEDULE). CANCELED DUE TO RAIN. Free concert at the building formerly known as Roosevelt Elementary School. 7:00 pm. Sponsored by the Roosevelt School Neighborhood Association. Madison Contradance with caller Roger Diggle. Central Iowa Barn Dance, CUMC Annex, 130 S Sheldon Ave, Ames. Caller Shawn Glidden from St Paul Minnesota. Des Moines Art Center, 1 – 2 pm & 2:30 – 3:30 pm as part of the special event After Many Springs. View the "American Gothic" by Grant Wood and listen to The Barn Owls! Central Iowa Barn Dance 8PM, CUMC Annex, 130 S Sheldon Ave, Ames, Iowa. Callers Roger Alexander and Lonna Nachtigal. Irish Festival from 1-2:30 and 3:00 to 4:00 PM at the State Historical Museum of Iowa. Central Iowa Barn Dance CUMC Annex, 130 S Sheldon Ave, Ames. Caller Lonna Nachtigal. Central Iowa Barn Dance CUMC Annex, 130 S Sheldon Ave., Ames, Iowa, with caller TBA. The Barn Owl Band will give 30 minute presentations of traditional and world music at 5 Ames elementary schools, Ames Middle School and St. Cecilia Parochial School on Monday, January 12 and Tuesday, January 13, 2009. Central Iowa Barn Dance with caller Lonna Nachtigal, 8:00 pm at the CUMC Annex, 130 S Sheldon Ave, Ames. Hey for Forty Barn Dance, 8:00 pm at Scattergood Friends School, West Branch, Iowa, with caller Lonna Nachtigal. Barn Owl Band in concert at Urbandale United Church of Christ, 3530 70th Street, Urbandale IA. 3 PM (tentative time) http://www.urbucc.org. Tickets available at the door. Performance at the United Community School, Boone, Iowa, during their annual Pioneer Harvest Day, October 31 from 8:30 to 9:00am. Theme: old timey music. Central Iowa Barn Dance with callers Roger Alexander & Nate Kemperman; 8:00PM, CUMC Annex, 130 S Sheldon, Ames. CONCERT 7:00pm at Octagon Center for the Arts, 427 Douglas Ave, Ames. Tickets can be purchased at the Octagon Center. Rescheduled rain-out date at the Roosevelt School, Ames, grounds. Free concert. Potluck at 5:00pm and concert at 6:00pm. Central Iowa Barn Dance with caller Roger Alexander. 8:00PM at the CUMC Annex, 130 S. Sheldon, Ames. Fairfield Contradance Morningstar Studio, 51 1/2 Court Street, 8:00 PM, Fairfield, Iowa with caller Roger Alexander. 7:00 - 8:30 at the Ankeny Band Shell at 410 West First Street, Ankeny. Concert is free. ROOSEVELT SCHOOL YARD CONCERT, Ames. A free concert at the former Roosevelt Elementary School that starts at 7:00pm. Bring lawn chairs! Iowa Barn Foundation Highway 30 Barn Tour Picnic and Barn Dance, Community Center at the Story County Fairgrounds in Nevada, Iowa from 5:30 p.m. to 9 p.m. To reach the fairgrounds, turn off old Highway 30 at First Avenue in Nevada, and travel south to I Avenue. Central Iowa Barn Dance with caller Roger Alexander, 8:00 PM at the CUMC Annex, 130 S Sheldon Ave, Ames. FIFTH! Saturday Central Iowa Barn Dance with caller Roger Alexander, 8:00 PM at the CUMC Annex, 130 S Sheldon, Ames. Central Iowa Barn Dance with caller Lonna Nachtigal, 8:00 pm, CUMC Annex, 130 S Sheldon, Ames. Story County Democrats' "Whistle Stop" Soup Supper. Fellowship Hall of the Collegiate United Methodist Church, Ames. 6:15-7:30 PM. Central Iowa Barn Dance with caller Lonna Nachtigal, 8 PM at The CUMC Annex, Ames. Central Iowa Barn Dance 8:00 at the CUMC Annex, 130 S Sheldon Ave, Ames, with special guest Reggie Greenlaw and caller Lonna Nachtigal. Central Iowa Barn Dance, 8:00 at the CUMC Annex, 130 S Sheldon, Ames. "Art Inside Out" at the Des Moines Art Center, 4700 Grand Avenue, Des Moines. 1:00 PM - 3:30 PM. 515.277.4405 for more information. Bookends at the Bandshell concert 6 to 8 pm in Bandshell Park, 6th & Duff, Ames, Iowa. Sponsored by the Ames Public Library. Central Iowa Barn Dance with caller Lonna Nachtigal. CUMC Annex, 130 S Sheldon, Ames, 8pm. Private event for the ISU Foundation staff. Concert at the former Roosevelt School grounds (921 9th Street, Ames) 7:00 - 8:30pm. This is part of the SUMMER SUNDAYS AT ROOSEVELT CONCERT SERIES. No admission charge. Central Iowa Barn Dance with callers Marcia Minear & Roger Alexander. CUMC Annex, 130 S Sheldon, Ames, 8:00 pm. Snus Hill Winery , near Madrid, Iowa, 3 to 6 PM. Public is invited. Third Thursday Live on WOI-FM, Ames, 7:00-8:30 pm. Central Iowa Barn Dance with callers Marcia Minear & Roger Alexander. CUMC Annex, 130 S Sheldon, Ames, 8pm. Annual concert, 7pm, Octagon Center For The Arts, 427 Douglas Ave, Ames. Admission $8 (children 12 and under free); tickets available in advance at the Octagon, or at the door. Hey for 40 Barn Dance Scattergood Friends School, West Branch, Iowa, with caller Gail Hintze from Bishop Hill, Illinois. Central Iowa Barn Dance with callers Marcia Minear & Roger Alexander.